If you are trying to conceive, you probably have a long list of questions to ask a fertility specialist. While we offer some answers on this page to the more commonly asked questions, personalized fertility information is only available through a visit to the New Jersey Center for Fertility in Edison. Dr. Eric Daiter is an experienced and compassionate doctor who will do everything he can to help you achieve your dream of having a baby. Will my insurance cover fertility treatment? When should we seek fertility help? It is nearly impossible to estimate the cost of fertility treatments, since every couple’s medical condition, budget, and timeframe are different. For example, a younger couple might have time to pursue minimally invasive treatments, while a woman who is older may choose to immediately undergo surgery such as a laparoscopy to detect and treat endometriosis. New Jersey surgeon Eric Daiter is sensitive to the financial needs of each couple that comes to his office, and will take time to present you with all the options available within your budget. Full coverage of fertility treatments is rare among insurance companies. In many cases, couples’ insurance policies will cover traditional fertility treatments such as intrauterine insemination, but will exclude more advanced techniques such as in vitro fertilization (IVF). After your diagnostic consultation with Dr. Daiter, we can use your fertility information to negotiate with the insurance company. Many New Jersey couples have found this method to be effective and satisfying. However, it is important to be prepared for the possibility that your health insurance will not cover the fertility treatments you’re planning on. The tissue that normally lines the uterus is called the endometrium. When this tissue grows outside the uterus, usually in places like the pelvic cavity and around the fallopian tubes, the resulting condition is called endometriosis. Endometriosis is categorized into four levels of severity. The two more severe stages of endometriosis can cause intense abdominal pain and, in certain cases, infertility. A surgery called laparoscopy is the only way to diagnose endometriosis with certainty. New Jersey doctor Eric Daiter has years of experience in diagnosing and treating all levels of endometriosis. Some medical professionals believe that when endometrial tissue is present in the pelvic cavity, the body’s immune system is working extra hard to eliminate it. In this case, the over-stimulated immune system may also have a negative effect on eggs and sperm in the fallopian tubes, preventing them from fertilizing into an embryo. An alternate theory is that the scar tissue left behind by endometriosis causes the uterus and other reproductive structures to function poorly, thereby preventing implantation of embryos. Either of these scenarios can by improved with laparoscopy, the most advanced endometriosis treatment available at the New Jersey Center for Fertility. To learn more about the link between endometriosis and fertility, contact the Edison office of Dr. Daiter to schedule a consultation. Unfortunately, there is no known cure for endometriosis. The best course of action is to have endometriosis diagnosed and treated with laparoscopy if necessary as soon as possible. New Jersey fertility specialist Eric Daiter will be able to give you the most detailed information based on your individual diagnosis. Laparoscopy is the most commonly prescribed surgery to treat endometriosis. In this procedure, Dr. Daiter will make two to four tiny incisions (about the width of your fingernail) in your lower abdomen. Through one incision he will insert a camera called a laparoscope. The other incisions are for various surgical tools. This laparoscopy method allows for a minimally intrusive surgery that removes the endometrial tissue without needlessly disturbing the healthy tissue in the area. The main benefits of laparoscopy are that women experience a short recovery period and minimal scarring, allowing them to focus on the rest of their fertility treatment. If you already know you have a medical condition that may affect your fertility, such as endometriosis, it may be wise to schedule a diagnostic consultation at New Jersey Center for Fertility to have the problem addressed. Women who are over the age of 35 should also be evaluated, as fertility levels can drop sharply after this age. If you have experienced more than one miscarriage in a row, you may have a pelvic factor that can be corrected through surgery such as laparoscopy. 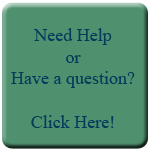 We understand that you have many more questions than can be answered on this website. We would be glad to give you all the fertility information you need about IVF, laparoscopy, and endometriosis during a consultation at our fertility center. Contact the New Jersey Center for Fertility today to start on the path towards becoming a parent. Couples with infertility concerns often have many questions about their condition. In an effort to answer some of those questions, his page provides fertility information about such techniques as laparoscopy for endometriosis. The New Jersey Center for Fertility can answer all your questions during a personalize consultation.